As part of the opening weekend of Sound Speed Marker, Ballroom Marfa Presents the Tish Hinojosa Band. It is a free concert that will be happening on March 1, 2014 at 8 in the evening. The concert will be held at the USO Building, Marfa, Texas. 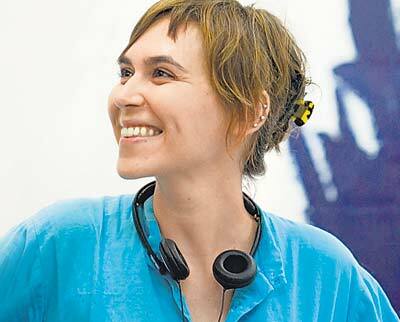 Leticia “Tish” Hinojosa is a Spanish and English folksinger. She was born on December 6, 1955 in San Antonio, Texas. Her parents were Mexican immigrants and she was the youngest of 13 children. Hinojosa is well known for singing both her original songs and traditional Mexican folksongs. She accompanies her music with guitar, which she plays right-handed even though she is naturally left-handed. Her career took her to New Mexico and then to Nashville, where she has performed with famous country musician, Michael Martin Murphy, who inspired her to start writing her own songs. She has recorded many albums for Rounder Records and has charted twice on Billboard country charts. Her 1992 album “Culture Swing” won the NAIRD Indie Folk Album of the Year, as well as Las Primera (The Firsts) award from MANA, which is the largest organization of Latino women. She has performed at presidential and gubernatorial inauguration events as well as at the White House. 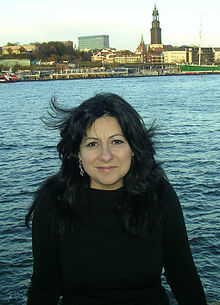 In 2008, Tish Hinojosa released her 12-song collection CD, “Our Little Planet”. It was a compilation of traditional bluegrass and her trademark music modern folk. On her latest album, “After the Fair”, she decided to distance herself from her hometown to find inspiration. She left San Antonio and spent almost nine years in Hamburg, Germany, to live, write, compose, collaborate, and explore herself and her music. Living in the neighborhood of St. Pauli, with its beautiful views, sounds, and historic culture, she found the inspiration she was looking for. Leading up to her performance, Tish Hinojosa will be interviewed on Marfa Public Radio’s Talk at Ten on February 28 at 10:30 a.m. Tune in to KRTS 93.5 FM or listen to them streaming online. La Jolla Grande Colonial Hotel is an old, yet luxurious hotel in California. It was first opened on the February 1st, 1913. Originally designed by the master architect of the Balboa Park California Exposition, Richard Requa, the hotel has a breathtaking view of the Pacific coast. It was George Bane who decided to give the Colonial a whole new vista that would rival any coastal constructs in the West to that date. With this vision, he assigned architect Frank Stevenson to do the planning. The whole building was completed in 1928, with 28 apartments and 25 single hotel rooms. From then on, the Colonial served as a gathering place for locals, military men and Hollywood stars. Series of renovations created the new five-story building including numerous guest rooms and suites, a lobby and an award-winning ZAGAT-rated NINE-TEN Restaurant. The guest rooms at La Jolla Grande Colonial Hotel have a classy palette of bright colors bordering guests’ views of the Pacific Ocean or La Jolla. Windows can be opened to invite in natural light and breezes of the fresh ocean. The hotel’s suites also share an endless elegance and style, just like its guest rooms. Visitors are guaranteed the familiar comforts of home in a setting of exotic luxury through its select suites that include fireplaces and full kitchens. Along with sophisticated amenities, high-speed wired and wireless Internet access and in-room dining are offered to the visitors. For guests that plan a prolonged stay in the area, accommodation in the exclusive Little Hotel by the Sea and Garden Terrace suites are available. La Jolla Grande Colonial Hotel applies several “green” initiatives for the environment. It has a hot water system that minimizes energy use and water temperature throughout the peak times of the day. Digital thermometers are also installed in all rooms to maintain room temperatures at constant level. The chefs of the NINE-TEN Restaurant grow their own herbs and vegetables through an on-site hydroponic vertical garden. When you decide to stay in the Colonial, you will find yourself with endless things to do in La Jolla. You will be just few steps away from the most beautiful beaches on the west coast, such as Windansea Beach, Blacks Beach, La Jolla Cove and the Children’s Pool. 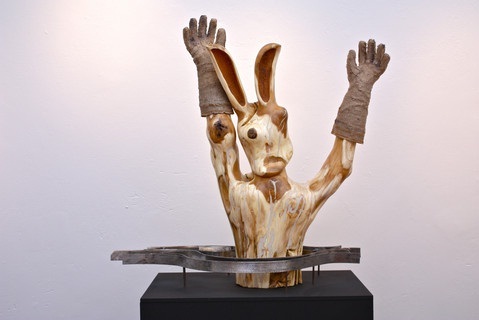 Beginningat 8 amon January 8ththrough 8 pm on February 2nd, the Greasewood Gallery in the Hotel Paisano at 207 North Highland Avenue in Marfa will be presenting an exhibit of the works of local sculptor, Craig V. Schowengerdt. The exhibit will feature the “Beautiful Bomb Series” of the sculptor’s most recent works created from native wood. Schowengerdt holds a Bachelor of Fine Arts from the Kansas City Art Institute. He also holds a master’s degree in fine art and literature from the University of Oregon in Eugene, Oregon. Schowengerdt has lived in New York, where he first began wood sculpting. He first made a male torso out of a 400 poundlength of pine tree on his kitchen table in his two-story apartment. He worked as an electrician for 25 years and managed his own company before retiring to take a home in Marfa, Texas. And ever since moving to Marfa, the sculptor has continued crafting wood, searching and collecting tree parts he can work on, carve, and build to fit developing narratives. According to him, he wants his pieces to have a personality; to be in the act of something. For more information on Schowengerdt’s exhibit, contact Vicki Lynn Barge, the gallery director, at 432-729-4134. The Greasewood Gallery also features works by other artists and in various mediums – oil and watercolor paintings; original photography and Giclee prints, sculptures, along with glass, wood, and jewelry creations. Many of the gallery’s featured artists have ties to the Big Bend area of West Texas and often exhibit works featuring beautiful, rugged landscapes. Starting on January 17th and lasting through the end of the month, Marfa Contemporary will be presenting the exhibit Agathe de Bailliencourt: Hues of Time. The exhibit features all of the new paintings created in Marfa during Bailliencourt’s three-month residency at Marfa Contemporary. This particular series dwells on the question of horizon, one of the art of painting’s most traditional subjects for defining time, space, and a scale of infinity. The paintings are characterized by subtle shades of color produced by acrylic paint and large amounts of water, watercolor techniques, and a minimalist idea of landscape. The untreated linen fiber used for the pieces reacts to the paints in an extremely sensitive, slow, and almost uncontrollable way. At the same time, every action is irreversibly visible, laying bare the entire process of producing an image of a landscape. Bailliencourt’s three-month residency was hosted by the Marfa Contemporary Artist in Residence program, which was launched in 2012 and aims to support the development of artists of diverse ages, backgrounds, and disciplines. The program provides an opportunity for artists to work in a unique and natural environment. Marfa Contemporary strives to “instill in the public a lifetime appreciation of the arts and enthusiasm for creative practice.” The organization is the first regional extension of the Oklahoma Contemporary Arts Center, which is an Oklahoma City-based non-profit organization dedicated to encouraging creative expression in all its forms through education and exhibit. 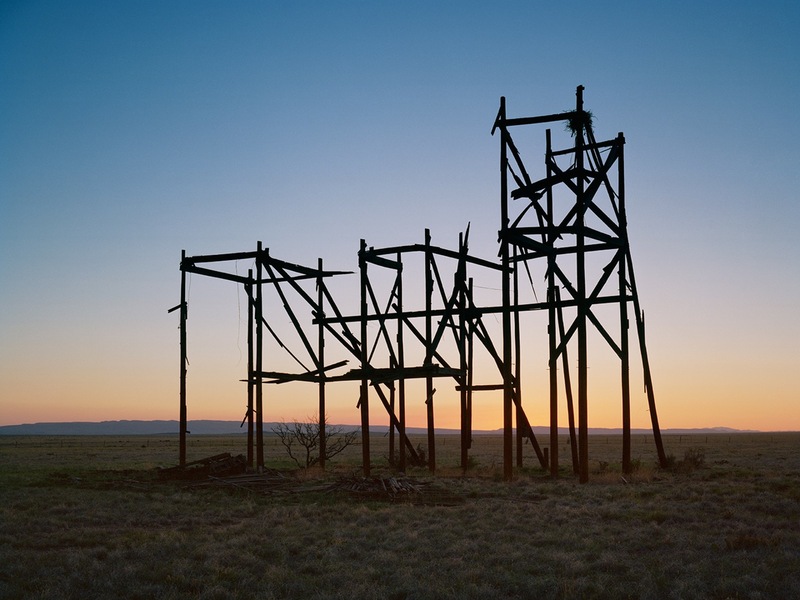 Exhibits at Marfa Contemporary are free of charge to the public all year-round and feature the recent works of regional, national, and international artists. Marfa Contemporary is located at 100 East San Antonio Street. The exhibit’s opening night on January 17th will last from 5:00 p.m. to 7:00 p.m. The Cliff House at Pikes Peak, Manitou Springs, is a four diamond Colorado Springs Hotel. The luxury attraction is actually older than the State of Colorado itself! In the past years, the hotel has served many purposes, from playing host to well-known public figures andhousing soldiers. The hotel has also been threatened by calamities such as floods and fires over its considerable lifetime. Despite its age, The Cliff House remainssteadfast and is currently considered one of the top 100 hotels in the world. Settled at the foot of Pikes Peak, this prime venue has an entire management and personnel team dedicateto keeping the accessories of Victorian classiness and indulgence. The reason why it is one of the best hotels is because of its hi-tech room features. 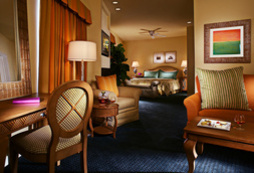 It has 54 well-appointed hotel guest rooms and luxury suites. The beautiful Celebrity and Premier Celebrity Suites are decorated in harmony with the famous personality who have stayed at the hotel during the past 130 years. Both suite options have the usual amenities, with additional state-of-the-art heated towel racks, two-person spa tubs and steam showers with body jets. The hotel’s banqueting hall is also one of the nation’s finest. The Cliff House Dining Room has received the DiRoNa Award and 4 Diamond Award in Fine Dining from AAA. The best culinary staff will overwhelm every guest’s senses with award winning dishes made from cross-cultural techniques and fresh locally-grown ingredients. Aside from its outstanding formal dinners, the hotel is also famous for the most expansive selections of fine wines in Colorado. By dining in The Cliff House’s banqueting hall, guests are guaranteed to have the perfect wine to complement their banqueting experience at their disposal. 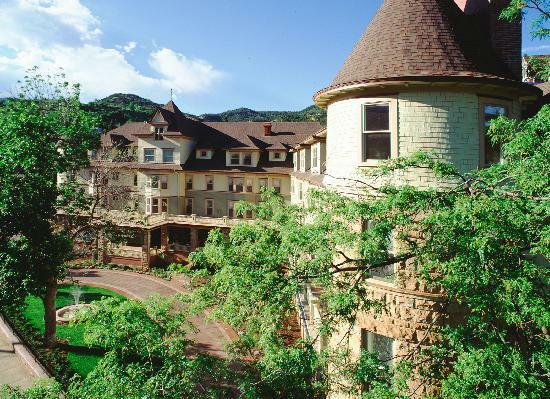 From the luxurious suites and world-class fine-dining of The Cliff House, Manitou Springs also offers visitors with limitless tourist spots and activities. Cave of the Winds tours are given daily to city guests. Another exciting dinner theatre for the whole family is found in Iron Springs Chateau and Melodrama. For those who enjoy hiking, The Manitou Incline has a trail rising above town at the base of Mount Manitou.